Editor’s note: This story was updated at 7:30 p.m. EST Feb. 1 to add a statement from Diocese of Los Angeles Bishop John Taylor. 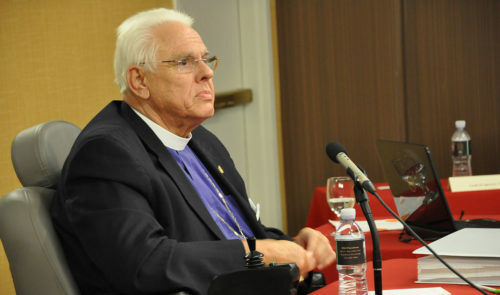 Taylor issued a statement late on Feb. 1 saying “I give thanks that the Court of Review decision brings to an end the official narrative of these difficult years for the Diocese of Los Angeles, Jon and Mary Bruno and their family and colleagues, and the people of St. James Episcopal Church. The Court of Review met in Atlanta, in late September to hear oral arguments by the parties. The court’s decision was crafted over the next eight weeks, and the members of the court reviewed the decision and signed off over the weeks since Christmas, according to the release.